THE COMMUNICATIONS MINISTER, Pat Rabbitte, has said that he’s happy where he is but knows that he has no power over what happens next. A massive reshuffle is expected in the coming days following the announcement that Joan Burton is the new Labour Leader and Tánaiste. Minister Rabbitte has insisted he will not resign. 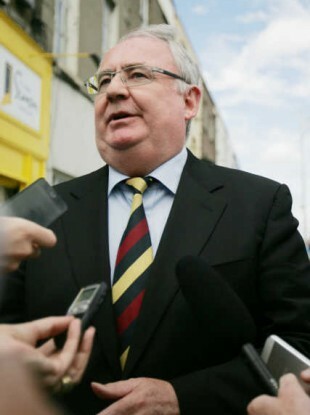 Ruairí Quinn stepped down earlier this week so as not to be considered in the reshuffle. “It’s not a challenge about swapping chairs or personalities, the cabinet are to have a mix of dynamic young people with new ideas and experience. As regards what happens next, I have no role or influence nor have I sought to exert any influence – good, bad or indifferent. Of course I’m not accepting that and the political writers don’t make the decisions. I haven’t even contemplated that question yet and that’s the truth. I haven’t envisaged this focus coming on me. Email “Pat Rabbitte: 'Political writers can say what they want but I'm not accepting I'm out'”. Feedback on “Pat Rabbitte: 'Political writers can say what they want but I'm not accepting I'm out'”.